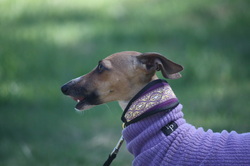 Luna is a sweet little iggy, and I thank Claire Needham from Shantiah for allowing Luna to come and live with us. Luna is a beautiful little red fawn and white girl, for whom I have high hopes! 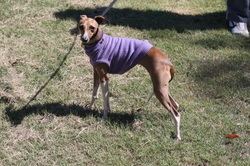 Luna is a dainty little girl who is extremely active and playful. Luna is a beautifully bred little girl, and is best friends with Venus, and they spend their days playing chasey and wrestling with each other. 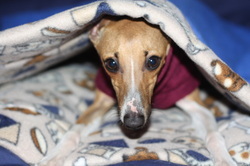 Luna is a bright engaging little girl, full of life and very cuddly. 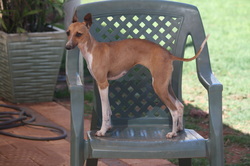 Luna produced 2 lovely litters of puppies for Karindi. After a difficult delivery requiring a c-section for her 2nd litter, Luna was spayed. Luna will be retired and rehomed once her singeton pup from her 2nd litter no longer needs her.